A popular Indian online media outlet published a piece purporting that part of one of the Pakistani Prime Minister’s latest speeches was intended to “exploit India’s fault lines under Modi’s rule”, which implies that the self-professed “world’s largest democracy” is taking a page from its American ally’s infowar playbook by concocting a Russiagate-like hysteria ahead of general elections this May designed to deflect attention away from India’s many domestic troubles by making it taboo to talk them lest one inadvertently ‘plays into Pakistan’s hands’. 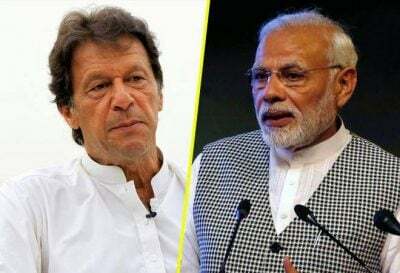 The Quint, a popular Indian online information outlet, published a piece titled “How Imran Khan Is Exploiting India’s Fault Lines Under Modi’s Rule” which puppets that the Pakistani Prime Minister tailored part of one of his recent speeches in such a way as to meddle in India’s domestic affairs ahead of its upcoming elections this May. The article admittedly makes some interesting points by analyzing the historic and political contexts of PM Khan’s words that he specifically addressed to the Indian audience, but it would be amiss to suggest that this amounts to “exploiting India’s fault lines” in the way that’s implied within the text. It’s veritably true that India is an ultra-diverse country and that the many preexisting identity fault lines that it inherited since independence are widening at a worrying pace under the majoritarian rule of the Hindutva ideologues led by Prime Minister Modi, but it doesn’t amount to “exploitation” for anyone — whether a citizen or non-citizen alike — to hint at that fact or directly talk about it. Actually, it’s contradictory to the democratic principles upon which the self-professed “world’s largest democracy” claims to espouse to believe that the expression of one’s freedom of speech in that manner is anything nefarious. There’s no doubt that state and non-state actors sometimes do abuse those freedoms in order to destabilize targeted states per the modus operandi of Hybrid Wars, but PM Khan’s commentary on the situation in his country’s neighbor and especially the occupied region of Kashmir doesn’t fit the criteria of weaponized rhetoric. To claim otherwise, like is being implied in The Quint’s piece, is to take a page from the infowar playbook of India’s American ally to concoct a Russiagate-like hysteria that could troublingly make it taboo to talk about India’s manifold domestic problems lest one inadvertently “plays into Pakistan’s hands”. Trump’s public and “deep state” foes have been alleging for over two and a half years already that RT’s hosting of dissident American voices and its critical coverage of the US’ many domestic problems was tantamount to “meddling” in the country’s affairs so as to “hack” the 2016 election in Trump’s favor, similar to what The Quint implied that PM Khan was doing with one of his latest speeches by directly addressing the Indian people ahead of their national elections in May in order supposedly to tip the scales against Modi. This is a very dangerous narrative to introduce into Indian society because it runs the risk of pressuring people to self-censor their constructive criticism of the contemporary state of affairs in their country, which some believe have become much more divisive because of the BJP’s demagogic divide-and-rule re-election strategy and not due to anything having to do with Pakistan or PM Khan. India is already plagued by WhatsApp-driven mob lynchings, so it’s not far-fetched to imagine that dissidents who publicly express the aforementioned observation about the root cause of India’s hyper-partisan political environment and worsening identity differences could become the next targets of ultra-jingoist mob violence on the basis that they’re “Pakistani agents” or at the very least “useful idiots”. The BJP community leaders who manage massive WhatsApp groups might also deliberately spread fake news in this respect about their political opponents in order to incite their indoctrinated minions into attacking those people or their followers, following the cow lynching model that they’re suspected of successfully employing against Muslims. Not only is this terrifying from humanitarian and democratic perspectives, but it’s also counterproductive from a pragmatic one because it will only lead to the worsening of those said fault lines instead of making any progress on fixing them, which could ultimately culminate in the creation of many “mini-Kashmirs” all across the country in the worst-case scenario. Therefore, instead of pointing to PM Khan and painting him as a Hybrid War boogeyman per the US’ infowar playbook of copying and pasting the Russiagate fake news narrative into an Indian context, the country would do best to look inward when searching for the source of its many worsening fault lines and prioritizing addressing them before it’s too late.